SISTERS, OR -- A Tualatin man was killed in a head-on collision on Highway 22, Monday morning. According to State Police, 27-year-old Tarah Fair, of Redmond, lost control on the icy highway at about 8 a.m. Her car crossed into oncoming traffic and hit an eastbound vehicle driven by 37-year-old Michael Hunt. Hunt was pronounced dead at the scene; Fair was taken to St. Charles Bend with serious injuries. 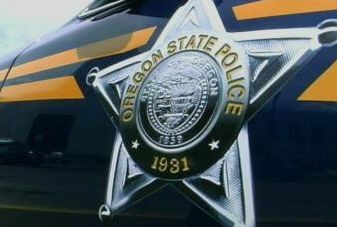 Eastbound Highway 22 was closed for about five hours for the investigation. OSP was assisted by Sisters Fire, Idanha-Detroit Fire, Gates Fire and ODOT.